Your school website should be the best place to provide information to parents and the community. 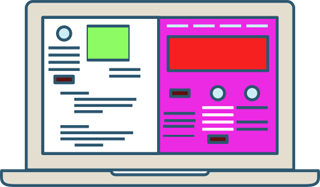 Improve your communications by improving the quality of the content on your website. Transferring your old content to a brand new website is like putting dirty socks on nice, clean feet. School Webmasters improves your old website content before reorganizing it into a new, user-friendly layout. Our dedicated copywriters work closely with your school to create branded, professional, inviting content to fill your pages. 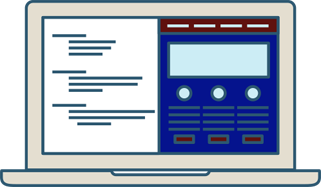 Your website content will follow best practices regarding structure, formatting, tone, and style. Unlike other school website services, this copywriting service, which is vital to your school’s brand, is included in the cost of a School Webmasters website. 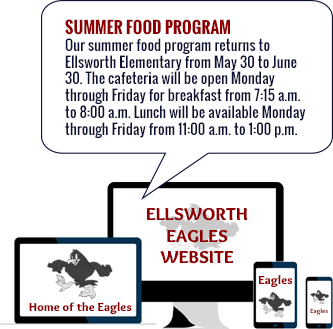 It’s the start of summer vacation for Ellsworth Elementary School, and Josie, the school’s administrative assistant, needs to add the summer food program hours to their website. Josie logs into the School Webmasters customer service portal. From start to finish, the whole process took Josie about one and a half minutes. Renee, the School Webmasters updater, takes the information provided by Josie and creates an update that has a friendly tone and active voice. The announcement is formatted and styled according to best practices. Also, rather than clutter the Home page with information that will be outdated in a few months, Renee places the announcement on the News page and links to it from the news teaser on the Home page. The announcement will stay on the News page until July 1, when it will expire and no longer display. The best part? Josie didn’t have to worry about any of that! 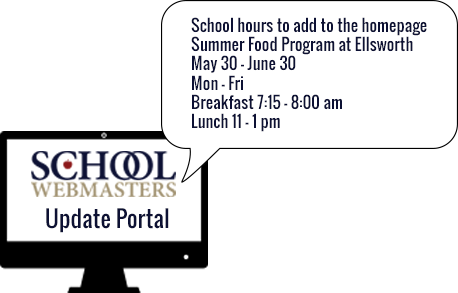 The correct formatting, placement, punctuation, and grammar are all taken care of by School Webmasters! Branded to reflect your amazing programs and people!